Struggling Leigh ran in eight tries in a 50-34 win over Wigan to record their first victory over their near-neighbours in 33 years. Liam Hood scored two tries while Ryan Hampshire, Danny Tickle, Lachlan Burr, Mitch Brown, Cory Paterson and Matty Dawson all touched down, with Ben Reynolds booting 18 points. 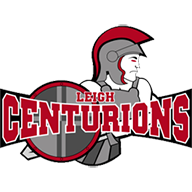 Wigan crossed the whitewash seven times themselves in a frenetic encounter but Liam Marshall only kicked three conversions as the Warriors succumbed to defeat at Leigh Sports Village. Leigh had lost 10 of their last 11 matches to sit bottom of Super League but their victory on Thursday night lifted them above Widnes, while Wigan are now without a league win in their last seven. It was the visitors who went ahead after just four minutes when a break down the left side by Oliver Gildart saw him outstrip the Leigh defence and his pass sent winger Marshall racing to the corner. The hosts responded positively though their first try came on the counter attack in the 14th minute, with Joe Burgess' pass intercepted by Hampshire, who raced 80 metres to the tryline, just evading a valiant chase from Wigan's Lewis Tierney. The Centurions went further ahead in the 20th minute when Josh Drinkwater's well-timed pass sent Tickle through from close range to take him past 2,500 points for his career which includes 572 for Wigan. Just four minutes later, Leigh were in again. A high kick from Drinkwater was patted back infield by Brown into the arms of Burr and he touched down for a try, with Reynolds maintaining his 100 per cent conversion rate to give Leigh an 18-4 lead. Wigan hit back, though, with two tries in three minutes as Josh Ganson spun over from dummy-half before a superb break from Gildart opened up the Leigh defence and he dummied before passing to Williams, who raced to the tryline. Marshall took over the kicking duties from George Williams for the latter try and made no mistake with his conversion to reduce the arrears to 18-14 although Leigh had a six-point cushion at the interval thanks to Reynolds' penalty. Shaun Wane's men made a determined start to the second half and within four minutes of the restart, Tierney had set up Gildart for a try in the corner though Marshall's missed conversion meant Leigh led 20-18. But rather than ignite the Warriors' fightback, the score just sparked Leigh back into action. In the 54th minute, Brown just managed to ground the ball from close range and Reynolds again converted. 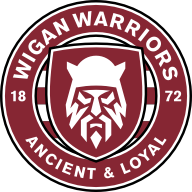 Though Wigan briefly hinted at a comeback with a barge-over try from prop Frank-Paul Nuuausala from close range in the 59th minute, converted by Marshall, Leigh held their nerve and finished the job. With 17 minutes remaining, the ball was worked to the left side and Paterson glided over for a try in the corner. Reynolds again kicked the conversion from touch for a lead of 44-24. There was still time for winger Dawson to score, grounding a kick to the corner from Reynolds and the conversion, again from Reynolds, took Leigh to the half-century. Wigan, who had won the last 19 meetings between the teams, scored twice in the final five minutes through Burgess and Ganson, Marshall converting the former, but it hardly mattered.